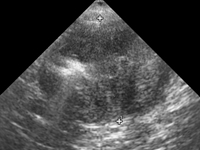 Ultrasonography is a diagnostic imaging technique based on the application of ultrasound. It is used to see internal body structures such as tendons, muscles, joints, vessels and internal organs. 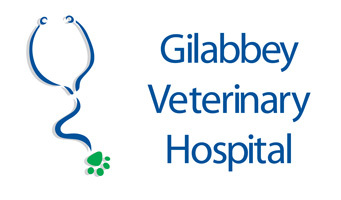 It is used regularly as part of our diagnostics services at Gilabbey Veterinary Hospital. This can be a really useful tool to image structures within the abdomen and chest and look at blood vessels, lymph nodes and other important structures. Our specialist in Diagnostic Imaging is Emma Tobin. 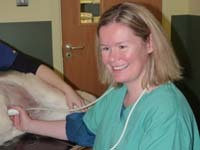 Emma Tobin is a specialised Veterinary Radiologist offering a veterinary ultrasound referral service. She will also report on radiographic films and offer advice on improving radiographic technique. Emma offers her expert advice on a variety of different case types. 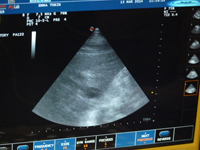 Emma visits us weekly with ultrasound clinics for patients that travel from all over Ireland.